Good food and wine, tango, passionate people, hot sun – these are probably some of our first associations when we hear someone speaking about Argentina. And we would be right to think so. But Argentina is a land of huge diversity and you can only get a real taste of its culture if you have lived there for a while. 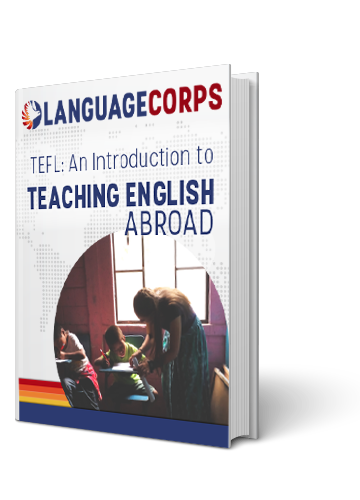 LanguageCorps offers this unique opportunity – you become an English teacher there and learn why they call it the “land of contrast”. Let’s start off with the capital. Buenos Aires (Spanish for “good air”) is a metropolitan city with a population of more than 13 million people and it’s also the main place of residence for LanguageCorps English teachers. Buenos Aires, sometimes called “The Paris of South America”, still keeps much of its European heritage in its architecture. To fully appreciate it, visit neighborhoods such as La Boca, which still looks very much the same way as when the early settlers from Genoa (in Italy) first arrived there. On the other hand, if you are looking for something more contemporary, the Puerto Madero and its modern architecture will impress you with the elegance of its business and shopping districts, as well as countless opportunities for a fine dinner out. Finally, despite its hectic appearance, Buenos Aires can offer a lot for those looking to take a little break. The city abounds in parks, such as the Bosques de Palermo, conveniently situated in the very heart of the city. Next in line is Cordoba, or the Cultural Capital of the Americas as it has been known since 2006. With its close to 1.3 million citizens, Cordoba cannot compare to Buenos Aires in size, but it has its fair share of historical monuments and places, combining history from both the Old and the New World. Its proximity to the mountains makes it a popular winter resort for skiers and mountaineers alike. You can’t say you have tried truly authentic Argentinian wines until you have visited the city of Mendoza. It’s situated in the Mendoza Province, east of the Andes. It’s one of the nine cities in the whole world that have been dubbed Capitals of Wine. Nearby is the Argentina Wine Route where you can taste excellent wine straight from the numerous vineyards. Now let’s leave the cities. Argentina’s natural treasures are so many that no article can give them their due respect. Still, here are a few locations that cannot go unmentioned. Just one look at the Iguazu Falls is enough to render you speechless at the grandeur of nature. In fact, it has rightfully won its place as one of the New Seven Wonders of the World in 2011. It also forms part of the border between Argentina and Brazil. Think glaciers are hardly accessible? Not the case with the Perito Moreno Glacier, a 97 sq mile ice block in the Argentinian province of Patagonia and a major tourist attraction. And while some glaciers might be melting, the Perito Moreno Glacier is actually advancing at an impressive speed of up to 6.5 feet per day! We can conclude the tour with either the Valdes Peninsula or the Tierra del Fuego archipelagos. The former is a nature reserve, home to several endangered species of marine mammals and part of UNESCO’s World Heritage region. The latter is the southernmost point of Southern America and is praised for its pristine nature and secluded location, offer preferred by eco-tourism enthusiasts. Choose either one and you won’t regret it. Argentina is a very well-connected country and you don’t need a car tо go to most places. Undoubtedly, its impressive bus network is currently the best way to go. Buses in Argentina are fast and comfortable (think Volvo and Mercedes) and seem to be most people’s preferred method of transport. If you prefer a more eco-friendly way to get around, we have good news for you. Argentina’s largest cities are connected by railroads and the government is already pushing for efforts to modernize the country’s railroad infrastructure. And for the train enthusiast, the Tren a las Nubes (Spanish for “Train to the Clouds”) is a must-see. It’s a tourist railroad that stands 13,850 ft above sea level and offers a magnificent view of the Salta Province. This article doesn’t even begin to describe all of the rich experiences that Argentina has to offer. As we said before, you need to be there to fully appreciate it. Assuming we have caught your interest, here’s a list of upcoming starting dates for our English-teaching programs in Argentina.